Grant Forward by Cazoodle is an enhanced version of the Illinois Researcher Information Service (IRIS) search engine and covers grant opportunities from agriculture to zoology. 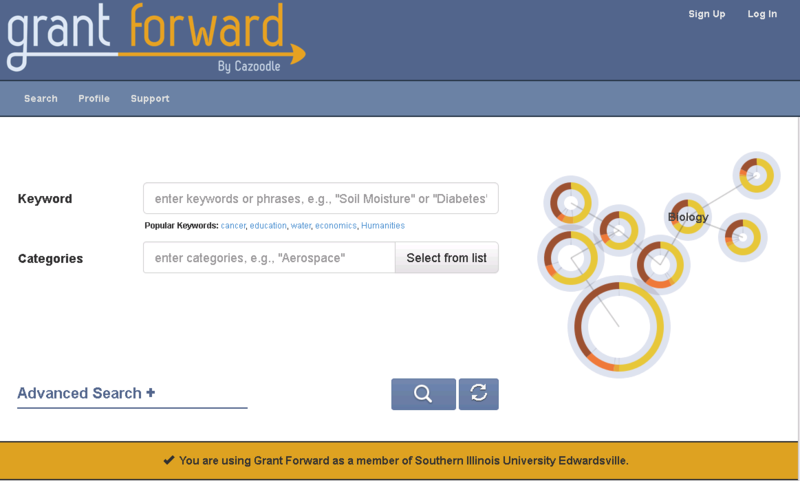 Grant Forward is an enhanced version of the Illinois Researcher Information Service(IRIS) search engine and features increased coverage of grant opportunities. Grant Forward is hosted and managed by Cazoodle (http://www.grantforward.com). More than 8,000 new grant opportunities have been added since April 2014. The database is updated twice a week. Know of a sponsor that has not been included? Contact support@grantforward.com and they can be added to the database. There are two supported search methods: "Basic" (keyword) and "Advanced." Both are explained further in the "How to Search" tab above. Forums regarding Grant Forward forums can be found here.